The changing patterns of the stars in the night sky have fascinated mankind since earliest times. In the 17th century BC, the Babylonians were recording the movements of Venus. Even earlier, the Egyptians used the regular movement of the stars to measure time and to devise a calendar of 365 days. 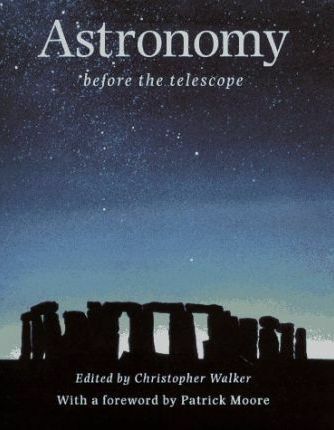 This book is the most comprehensive and authoritative survey to date of world astronomy before the invention of the telescope in AD 1609. International experts in every field have contributed chapters examining what observations were made, what instruments were used, the effect of developments mathematics and measurement and the diversity of early views of cosmology and astrology. The achievements of European astronomers from prehistoric times to the Renaissance are linked with those of ancient Egypt and Mesopotamia, India and the Islamic world. Other chapters deal with early astronomy in the Far East and in the Americas, and the traditional astronomical knowledge in Africa, Australia and the Pacific. A final chapter shows the importance to modern astronomers of the celestial observations recorded by their ancient predecessors, and generally their relevance to astrophysics, solar system studies and geophysics.